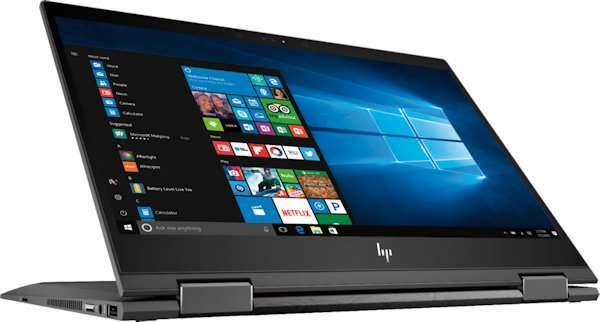 Looking for a new laptop for work, home or school? 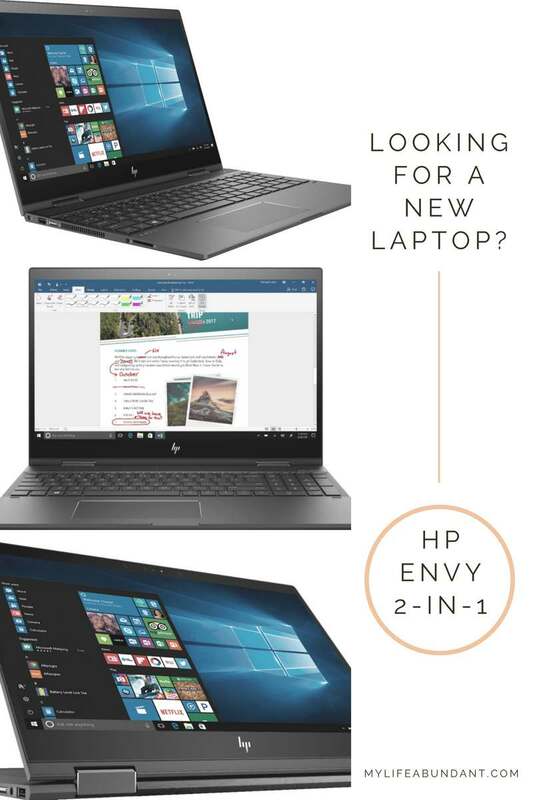 Let me tell you about the new HP – ENVY 2-in-1 Touch-Screen Laptop. My small laptop I carried around for several years to meetings and on trips decided to not turn on the other day. I loved that little thing. Now its time for me to find a new laptop to fit my needs and I think I have found the perfect one. 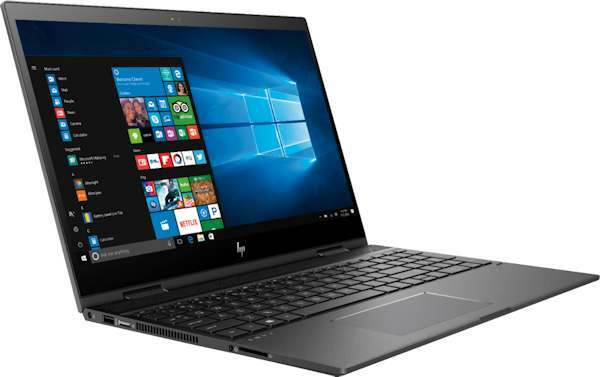 I headed out to BestBuy, my favorite place to buy electronics, where I found the HP Envy laptop which is perfect for my needs. HP Envy x360 laptops are 2-in-1 devices that can transfer from a laptop to a tablet in seconds. Exactly what I need! 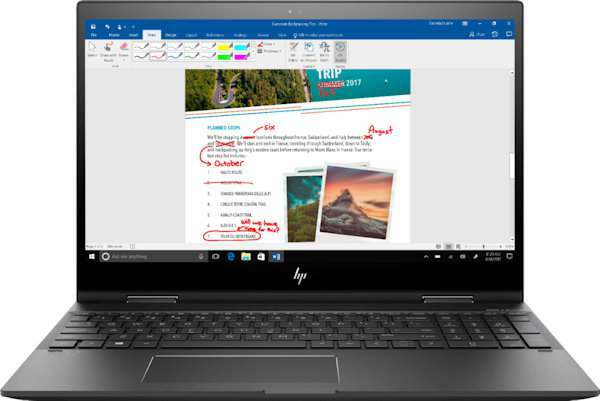 These touch-screen laptops come with Windows Ink capabilities and a Windows operating system so you can write on the screen with your stylus. Love that idea. AMD processors make them fast and thin so you can take them with you anywhere you go! Full HD touchscreen – The 1920 x 1080 resolution boasts impressive color and clarity. Natural finger-touch navigation makes the most of Windows 10. IPS technology for wide viewing angles. Energy-efficient WLED backlight. The best part is right now until July 28th you can get $100 off this laptop at BestBuy. Don’t miss out on this deal before it’s gone on July 28th at BestBuy to use for work, school or home. Shhh, afraid my laptop is not long for this world. I had an HP years ago but had a lot of trouble with it. This one sounds ideal because you can use it as a laptop or a tablet. I like taking my laptop with me when I travel but it’s so bulky. This would be such an improvement. Thanks for sharing.